Ask any dog owner and they will tell you that there are two types of people in the world: people who love dogs, and everyone else. And while the benefits of owning a dog are all too obvious to those who have already one, for those who don’t or may be on the fence, allow us to put your apprehensions at ease when it comes to “man’s best friend.” After all, even science is behind you getting a dog. Aside from being fun and adorable, having a dog has been shown to be good for your heart. Researchers at the American Heart Association found that having a dog could actually reduce your risk of getting cardiovascular disease. Also, people own dogs laugh more, according to a study published in the journal Society & Animals. Researchers asked people who owned dogs, cats, both, or neither to record how often they laughed over the course of a day. Those who owned just dogs and both dogs and cats recorded laughing more than the other two groups. Owning a dog also means that you are welcoming perhaps the most loyal friend possible into your life. Stephen Zawistowski, a science adviser at the American Society for the Prevention of Cruelty to Animals, explains that dogs see their human owners as fellow members of their pack and, therefore, form the same close bond with their owners as they would with their canine brothers and sisters. Dogs also make us more social, for, in the UK, a team of scientists at the Universities of Liverpool and Bristol found that UK residents with dogs were more likely to encounter other dogs and dog owners than people who did not own a dog. And while dogs can help you make friends, they may also be able to help protect us from poor health. A study published in the Proceedings of the National Academy of Sciences last year showed that when exposed to dust from households where dogs were permitted inside and outside, mice developed an altered community of microbes in their gut that protect against allergens. It was reported that these microbes could be what’s protecting young children from developing allergens in households with dogs. The above, along with a reduction of stress, a feeling of responsibility, and a heightened sense of compassion are just a few of the seemingly countless reasons to get a dog, however, much like one should not embark on parenthood unless they are ready, the same rules most certainly apply to dogs. If you get a dog, you must ensure that you have the resources, the time, space, and the energy to care for that dog, because of a dog’s needs, much a like a child’s, is very different from yours or mine. And while we could sit here all day listing off the differences between us and our four-legged friends, allow us to delve into something that we both have in common – a love for food. Although it should come as no surprise that both dogs and humans love food (what living creature doesn’t), the similarity ends there, or rather should. That is because while your dog may enjoy eating any and all food that they can get their paws on, in reality, many of the foods that we eat can be quite harmful to Rover. What are those foods you ask? Keep reading to find out! In the last decade, few vegetables (or are they fruits?) have made such waves as the humble, yet delicious avocado. 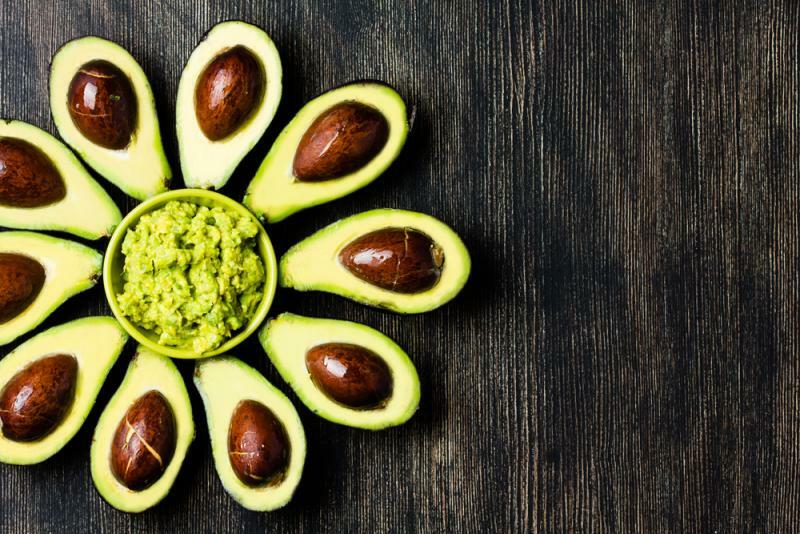 Guacamole, salads, chocolate pudding and on most recently on toast, this little powerhouse with a seemingly small window of freshness is one of the best sources of healthy fat a person can get. However, when it comes to your dog, they shouldn’t be so keen to try them. Avocados contain a compound called persin, which can be extremely toxic to dogs. Among other issues, persin can cause diarrhea, vomiting, and heart congestion in canines. And not only is persin in the fruit itself, but it’s also in the pit, leaves, and even the bark of an avocado tree. So If you find yourself living in a warm climate where avocados grow naturally, keep your pet away from these trees wherever possible.